Pizza or Bagels anyone? Great new option for those staying south. 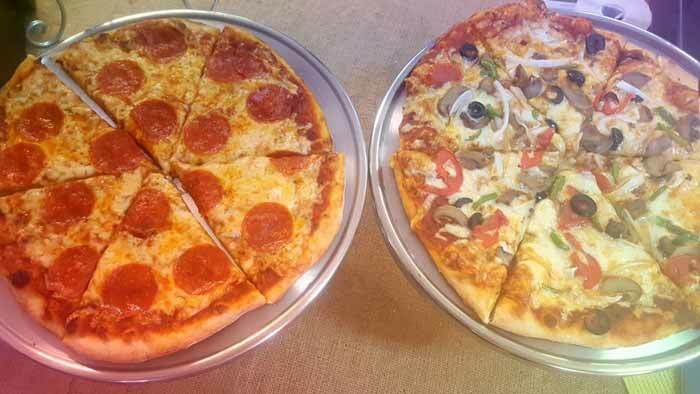 Pizza Pizza - Hot n Ready - by the slice..
Pepperoni and Vegetarian.. Thin and crispy crust!!! 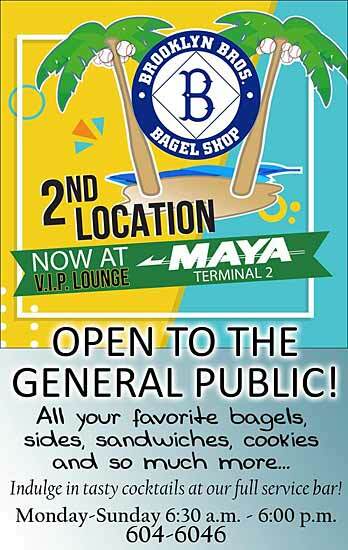 Brooklyn Brothers Bagel Shop has a new location in downtown San Pedro, on the second floor of Maya Island Air’s recently inaugurated terminal. 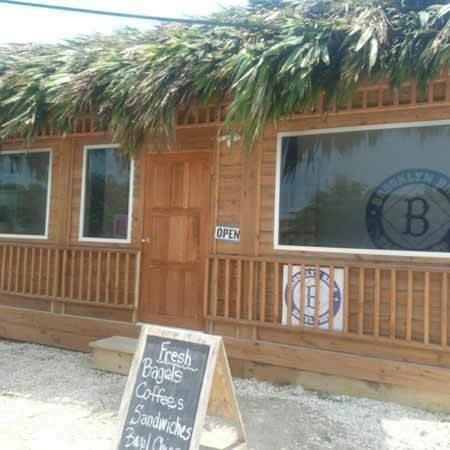 The popular bagel shop has expanded to offer a fully stocked liquor and coffee bar, complete with a flat-screen TV to watch your favorite shows. 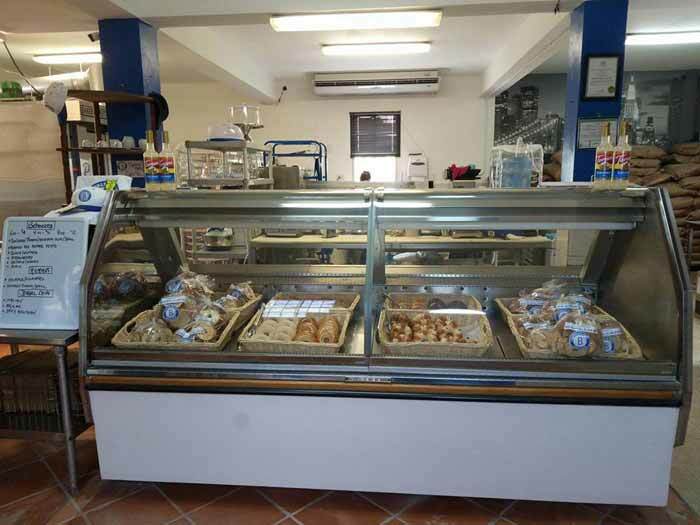 It continues to offer not only the best in bagel sandwiches but also baked goods, shrimp ceviche and weekend specials like lasagna. Not only do they welcome travelers awaiting flights but are thrilled to serve the general public Monday through Sunday from 6:30AM to 6PM. 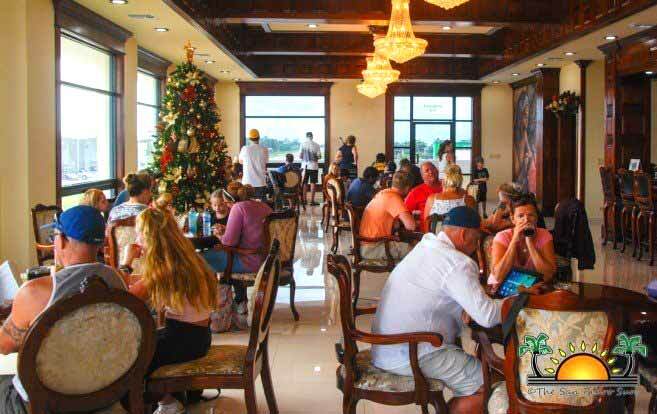 Their gorgeous mahogany and granite bar is a perfect place to hang out. Early birds can grab a much-needed coffee or tea, or a fabulous latte or cappuccino, with flavors like caramel, vanilla or white chocolate to choose from. Besides offering national and international liquors, the bar is known for three popular drink specials. The first is the Blue Hole, a blended drink that comes with a Curacao shot. Next is the unmistakably refreshing Sangria, and of course, bubbly Sunrise Mimosas. Happy Hour is every day from 2PM to 3PM, and on Thursdays and Fridays, it’s two for one margaritas. What a way to start your weekend!